Beverly Hills Plastic Surgery Group realizes that men want plastic surgery too. In case, our own doctors undergo plastic surgery procedures too including Coolsculpting, Botox, and laser skin rejuvenation. 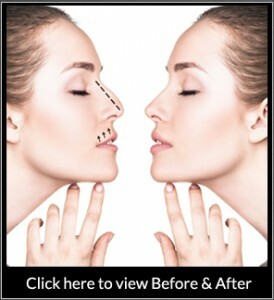 It is for this reason that we offer our expertise in male rhinoplasty surgery in Beverly Hills, CA. We can also help you achieve a higher level of functionality. If you experience trouble with your breathing, allergies or even vertigo, this could very well be caused or worsened by aberrations occurring within the nose. See our page about the septoplasty procedure if you have difficulty breathing or suffer from sinus related allergies. We will consult with you and take an inclusive approach to finding out what your ambitions and goals are when it comes to aesthetic enhancement. We’ll make sure to answer any and all questions about the procedure, financing, and insurance.